Northampton Town (a): What 3 Things Do We Need To Do To Beat Them? Totally forgot about this until I saw something on NewsNow a few minutes ago. 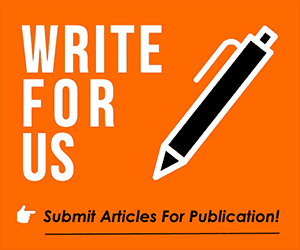 We need 3 things, accompanied by at least 150 words, then it can be published on the Front Page! 1. Stop fannying around 2 Put it in the mixer. 3 An assassin in front of goal. Need a 'take em out, before they take us out' mentality. Back of the net bish, bash, bosh. 1. Turn up on time, with a winning attitude. 2. Have a motivational injury free warm up. 3. Out sing their fans from ten minutes before the start to ten minutes after the end. Job done. We won't have lost and may well have won. Need something pretty soon, so I can set to publish early in the morning! 1. Drive forward from the off. We sat back and let teams come at us too often last season and often paid the price by conceding an early goal - 'settling in time' seems to be a luxury we're not getting in L2. 3. Not be overwhelmed by the expectations placed on us. After last season's consolidation and almost managing League glory, the pressure is on and we'll be the team everyone is gunning for. Positive Mental Attitude, club and fans alike: I know we're used to being pessimists about our beloved Imps, but things have changed and that belief will not be misplaced.